Coconut oil? Condition? 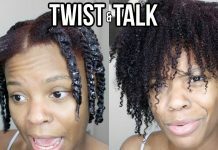 I had to do this video cause I want every natural to pre-poo natural hair properly. 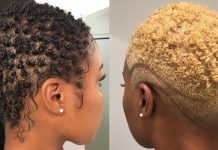 We are trying to grow our natural hair right? Got to do healthy things.Too many naturals make mixes for pre-pooing when its really just a simple step that uses one ingredient. Oil whether coconut, olive, almond etc..
Pre-pooing is a pre-treatment to shampoo. What you use needs to penetrate the hair, attach to the core and defend against hygral fatigue. In this video https://goo.gl/BF1BwL I go into great detail about it. What you will see today is a comparison. 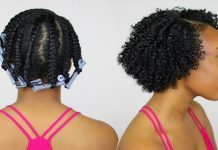 Please understand I am not a professional I am just consistently studying and increasing my knowledge about our hair. I share what I know with you all. So share this video with others we have to spread the word. Pre-pooing is not using conditioner or some concoction with everything from your fridge. Its simple, use a penetrating oil. Leave it for 24 hours then start your wash day.